Case Study- S.Kumar, 13 years old. “Now I am able to attend my classes in right time. Prior to the installation of this well I was late to classes, because my mother spent a lot of her time bringing the water and so she cooks the food later. So I was late to school. But now my problem is solved, because the newly installed borewell is near to my home. It is convenient for our people to get water. Thanks to the donor of this hand pump well. The help is great. ” said Kumar. The state of Andhra Pradesh, and those that live there, are experiencing an awful water scarcity crisis. They are plagued by droughts that affect many areas of their daily lives. Having to walk hours for water, and even then resources being scarce, means citizens are prevented from getting an education, having proper healthcare, cooking, eating and bathing with clean water, and that they have bodily troubles from carrying so much heavy water far distances. Water security is intimately linked with health, environment, happiness, education, livelihood, economic development and community spirit. The management of water in Andhra Pradesh has many urgent and troubling problems that need to be addressed immediately. It is not only humans that are affected by water shortages. Animals who are searching for water may find themselves falling into wells, becoming trapped. This also contaminates the wells water for those who rely on it. Domestic animals will also be left thirsty and exhausted. Due to ‘lack of funds’ many water tanks that supply water to villages in Andhra Pradesh have been suspended with little, or no, explanation from government officials. In Andhra Pradesh there is a substantial unutilised balance of about 55% of the total available groundwater (Water Resources of Andhra Pradesh, 2011: 48) . Economic growth, and the increased pressure for more water supplies, has led to a worldwide search for better ways of finding water. Water has been viewed as an economic commodity available for trade, rather than a basic, essential human right. According to The Hindu (April 27th, 2003) leaders of the Jal Yatra told a press conference in Hyderabad that there are many places in which rainfall is significantly less than Andhra Pradesh. However there was no drought in these places and people were not suffering as much. The leaders argued that limited water resources were being monopolised by the politically powerful elite in the community. This had led to artificial shortages for the majority of people who are excluded from having rights to water, or control over how it was used. The Andhra Pradesh’s government was not providing enough, or any, help for the droughts and farmers and citizens are desperate. ‘The total water resources, both surface water and groundwater in the state, are estimated to be 108.15 bcm (3820 tmc), out of which about 62.29 bcm (2200 tmc) are being currently utilized for drinking, agriculture, industry and power generation… As per UN indicators, the state falls in the “water scarce” category warranting appropriate water governance techniques’ (Jain et al. 2009: vii) . 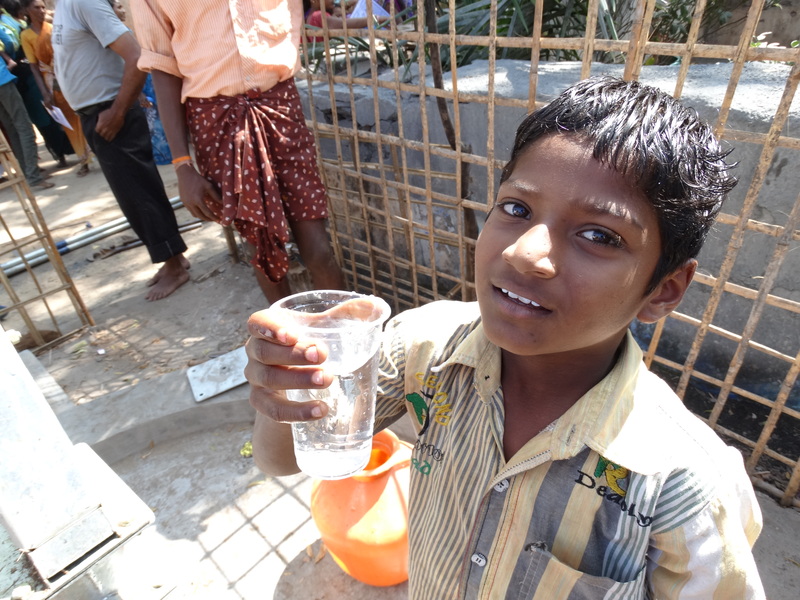 Clean water is absolutely essential to every aspect of daily living. Populations can only survive with access to clean water. Water scarcity is an incredibly dangerous problem for communities to deal with. Depending on age, gender and situation water scarcity affects all citizens in different ways. With clean water families who may have previously had to depend on very little income can now have more family members working and earning. This will allow them to live improved lifestyles, and have access to more resources. Not having to walk long distances to collect water means that children and young adults will have more time to focus on their studies, and have a greater opportunity of developing a career and gain more opportunities. Additionally, if their parents have more time, they will not be required to work as much and will have more time for themselves. Health is especially important. Dirty water will pollute citizen’s bodies and spread diseases. Clean water is essential to helping the body fight of disease and flush out bad toxins. If people do not have clean water to bathe in their hygiene will be extremely impacted, and they will be less likely to be able to fight off diseases, be able to better their situation and remain healthy. When people have to walk hours a day to go and get water their body will take a lot of strain. Many people experience problems such as back ache, weak knees and headaches. Without having to endure such strain people will be able to complete other tasks quicker and more competently, will require less health care and generally be much happier. 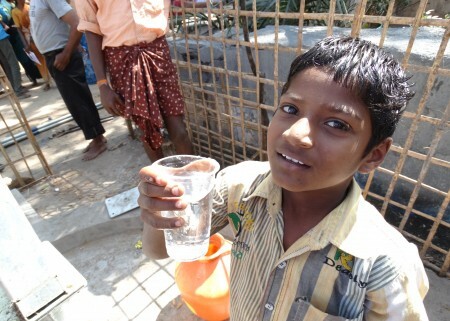 Having access to clean water helps promote peace and good relationships between communities. If villages do not have to beg each other for water there will be less strain on relations between them. Eating fuller and healthier meals, especially for growing young children, means people are more likely to develop better immune systems, have more energy and be happier. Clean water means clean food and healthy bodies. Additionally people will be more willing to cook better food if they do not have to walk for hours to get water, and have more water to be able to cook with. People can come and visit, as there are enough water supplies to go round. Families will be able to connect more if citizens of the community with access to clean water can host those that come to visit. People do not have to go on treacherous journeys, such as walking over highways and through dangerous landscapes. Safety is not compromised. Additionally young women or children do not have to venture out into dangerous landscapes, where their safety may be compromised.